As you buy supplements you need to be really careful when you see the term “proprietary blend”. This is found on most such products available at the moment and you have to be highly attentive because the supplement maker can easily avoid having to list the ingredients included in the product. Unfortunately, this leads to various problems, including the recently recalled coffee due to male enhancement drugs being included under the umbrella of “proprietary blend”. The most recent case was about instant coffee that was sold by Bestherbs Coffee LLC, Texas-based vendor. The FDA discovered that the coffee they sold included an ingredient that was similar to Viagra at a chemical level. “Proprietary blend” was used as a loophole in order to add ingredients without making quantities clear. In many situations the ingredients are added in a much higher dosage than what is recommended, usually reaching the level of high risk. To put it into perspective, it is a lot more than what you would get when you would participate in a male enhancement pills free trial. The coffee in question is named New Of Kopi JantanTradisional Natural Herbs Coffee. It has been available through online stores for around 2 years now. What is interesting is the product was voluntarily recalled by the manufacturer after special testing came to the conclusion that undeclared ingredients were present. The most alarming one was desmethylcarbodenafil because it is similar at a chemical level to sildenafil, which is the active ingredient we find in Viagra, the highly popular erectile dysfunction drug. On the packaging of Bestherbs’ instant coffee it was only stated that the product contains natural herbs. FDA oversaw the recall of similar coffee products in the past few months. This includes Caverlo Natural Herbal Coffee and Stiff Bull Herbal Coffee. Both vendors said that the coffee included longjack (or tongkatali), which is derived from a Malaysian tree root and acts as the active ingredient in the product. This is an ingredient that is more and more used in supplements that are sold as male enhancement. There is not much evidence available about the supplement but the suggestions are that it is capable of improving concentration and quality of sperm in men that are infertile. Not much evidence exists to support that this works for those suffering from erectile dysfunction, low testosterone levels or low athletic performance. The real problem with longjack is that it has some really serious potential side effects. That is exactly why people have to always be aware about everything that is inside their diets. FDA highlights that desmethylcarbodenafil can potentially negatively interact with various prescription drugs, leading to blood pressure being lowered to levels that are dangerous. Men that are suffering from high cholesterol, heart disease, high blood pressure and diabetes are at high risk. The ingredients that are included in food products need to meet a specific FDA guideline that is labeled “generally recognized as safe” (GRAS). The standard does not apply to supplements. Different laws regulate dietary supplements. In the year 1994 the Dietary Supplement Health And Education Act was passed with the purpose of addressing safety and labeling of supplements. Recent regulations were included so that manufacturers are actively observing “good manufacturing practices”. This does include testing ingredients. Regulations were not at all at the same scrutiny level as what was applied to food products. An investigation by PBS Frontline discover that the law received some financial investments from people that were involved in the supplement market. This is why the law states that ingredients listed in a Proprietary Blend category do not have to present quantities. Just the total amount of the blend and the ingredients have to be listed. There are many ingredients that are even then mislabeled or left out, sometimes intentionally. Supplement makers are actually allowed by law to make claims about a product about things that are not actually done. The only condition for that is highlighting on the package that the supplement is officially “not intended to treat, diagnose, prevent or cure diseases.” When the product is not safe, the FDA has the responsibility to prove that this is actually the case. Supplements are often an oversight when compared with other product categories. When looking at regulations, supplements tend to be presumed safe but in so many situations people end up harmed by loopholes. Coffee is not something that you would expect to be dangerous for you but we need to understand that this might very well be the case, as the examples above highlighted. 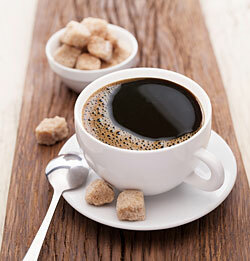 Consuming regular coffee without any added herbs is always a really good idea. Its benefits are well-documented. Whenever you see the Proprietary Blend label on any supplement, you need to be extremely careful. 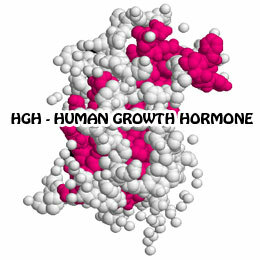 What Does HGH Deficiency in Adults Mean?